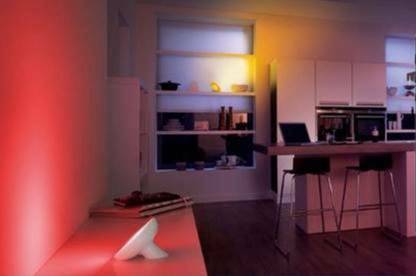 Colour your home with these WiFi-enabled light bulbs. My house is slightly smarter. At sunset the lights turn on and at 10:30pm, unless I say otherwise, they turn off. The lamps in the corner glow red and yellow, with more golden light pouring from underneath my couch. This is my new set of Hue lights from Philips: smart LED light bulbs connected to my WiFi network and controlled from my smartphone. While the main Hue lights are screw-in bulbs (and not compatible with my ceiling fittings), I also connected a light strip and a free-standing lamp, called “LivingColors Bloom”, which have the same colour-changing LEDs. I set up the Bloom in my bedroom. Its front face is angled and designed to be shone up a wall or into a corner creating ambient light. In a medium-size double bedroom the Bloom had enough power at its brightest setting to illuminate everything in vivid colours, or just a soft white if you need to read. In the living room I set up the two lamps and the light strip (the basic Hue Starter Kit comes with three light bulbs for screw-in sockets, but I only had two lamps that took this type of bulb). The strip is flat with an adhesive side. This means you can stick it under countertops or cupboards. A problem is that you can’t alter the length of the strip and also that it needs a power cable running to it. I chose to run it under the front of my couch to create a glowing effect. A publican friend of mine ran his strip around one of his beer taps to great effect. 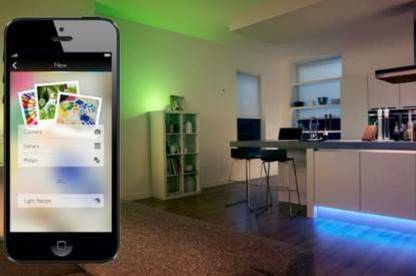 To control the lights you need a smartphone and the Hue app. We ran the lights off an iPhone and a Sony Android phone. They worked equally well. The lights are run through a central hub, called “the bridge”, which plugs into your router. You can add up to 50 bulbs wirelessly to the bridge. The lights can be programmed to turn on and off at certain times or to act as alarms, flashing as a reminder. You can also use photos, either preset or ones in your phone, to create “scenes”. This involves choosing colours from the picture for each light bulb to display at whatever brightness you choose. This is why my house looks like a tropical sunset every evening at dusk, even if there’s a cyclone outside. 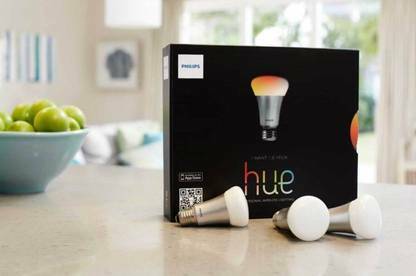 For more complex tasks – such as turning on the lights when you get close to home or changing the colour based on what movie you’re watching – log into the My Hue website. A glitch on the website means I haven’t been able to do this. This is a major stumbling block for the system as a lot of the coolest functionality, including being able to control your lights when you aren’t in WiFi range, only works with My Hue. 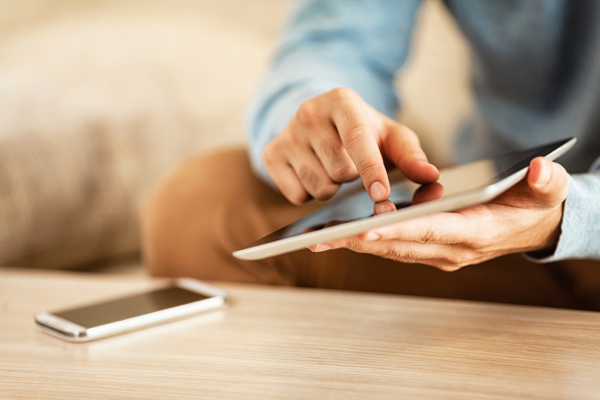 Once you get the system working, and the basic set-up is simple and operates perfectly, your house will be bursting with colours.